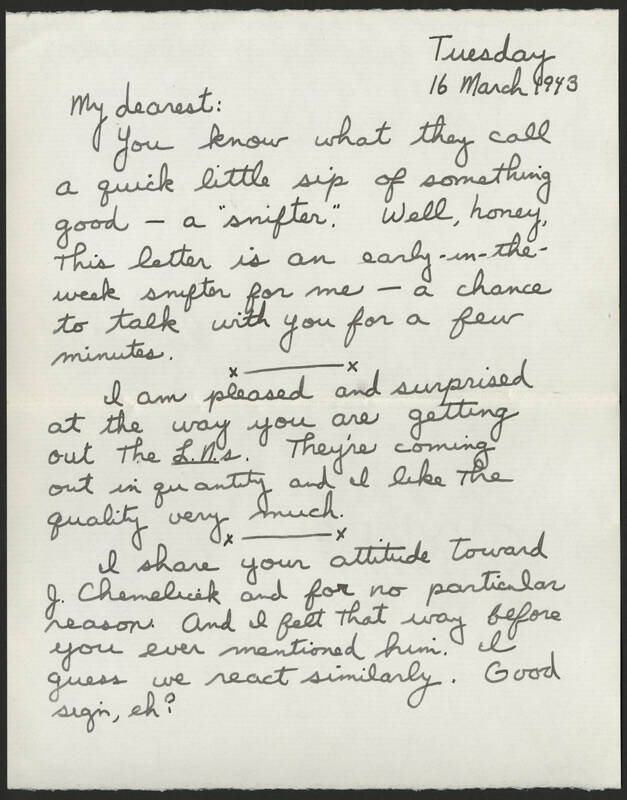 Tuesday 16 March 1943 My dearest: You know what they call a quick little sip of something good - a "snifter." Well, honey, this letter is an early-in-the-week snifter for me - a chance to talk with you for a few minutes. I am pleased and surprised at the way you are getting out the L.N.s. They're coming out in quantity and I like the quality very much. I share your attitude toward J. Chemelicek and for no particular reason. And I felt that way before you ever mentioned him. I guess we react similarly. Good sign, eh?